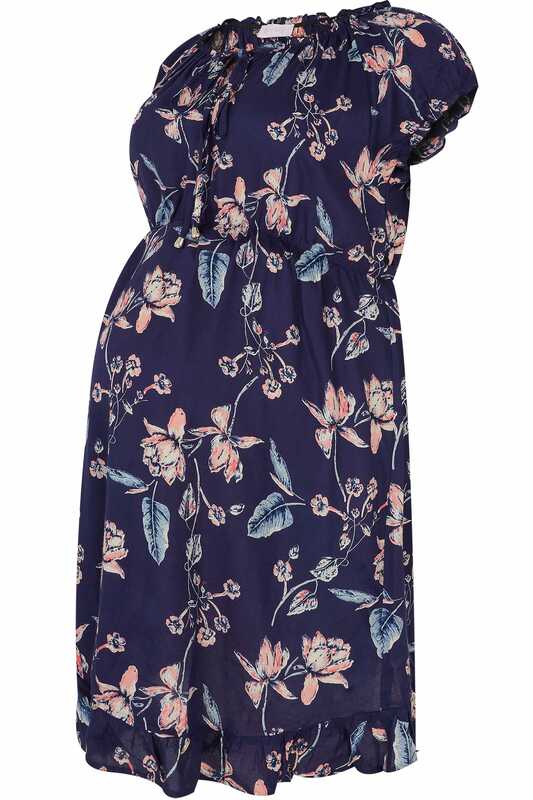 Add an elegant update to your maternity wardrobe with this gypsy dress. Designed with an elasticated waist for a comfortable fit around the bump, it features frilled trims and a keyhole opening on the neckline. 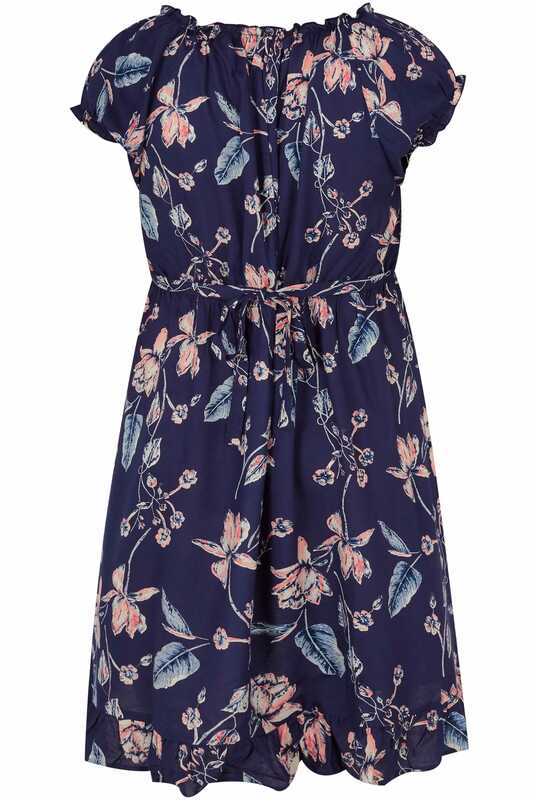 We are loving the navy hue and soft pink florals.